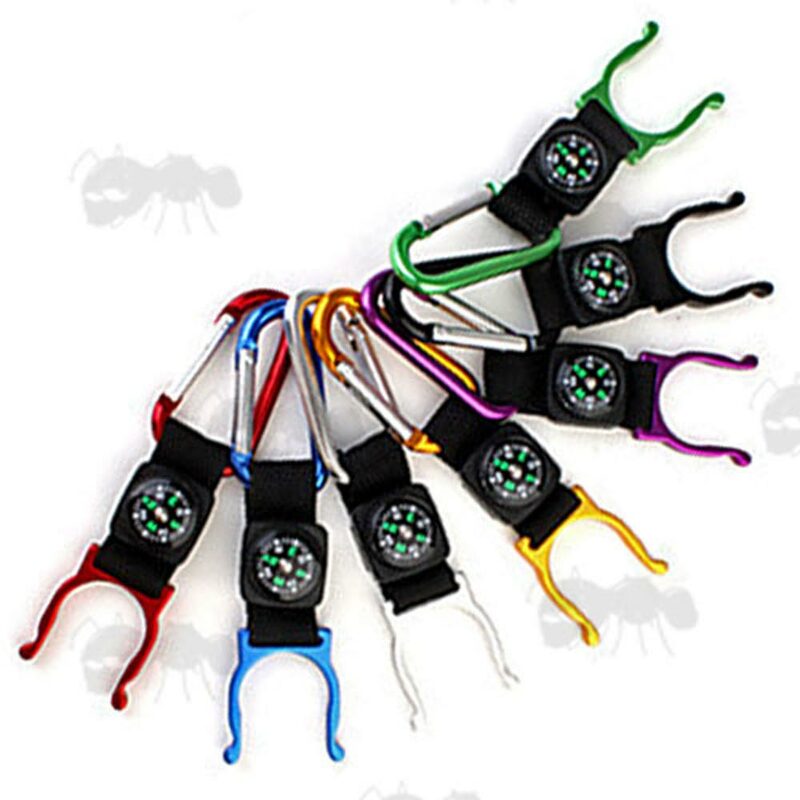 A new range of Carabiner (Karabiner) style clips. 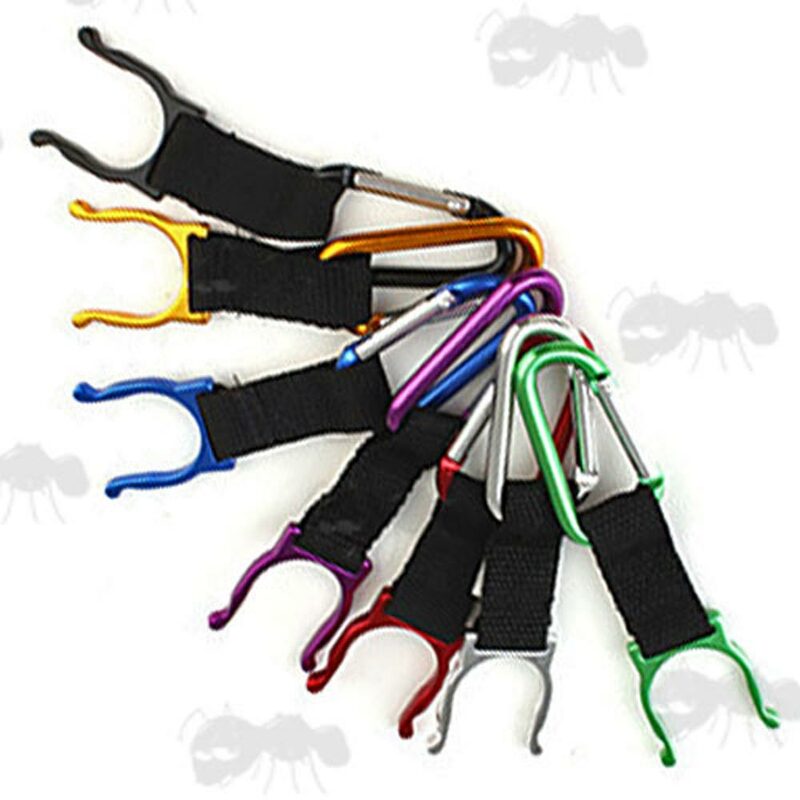 Also available ~ Novelty carabiners. 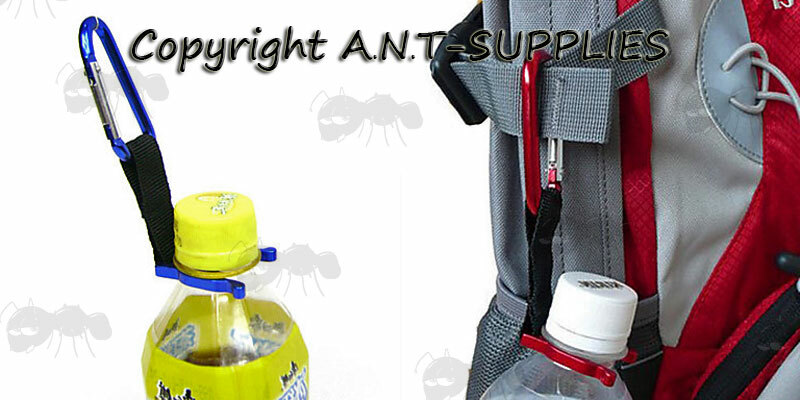 Next > Water Bottle Clip Carabiner. Lightweight alloy in a heavy-duty design. 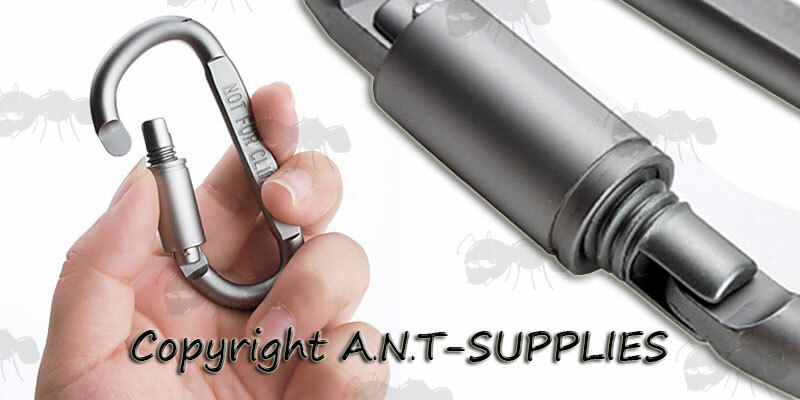 Next > Heavy-Duty Locking Carabiner. 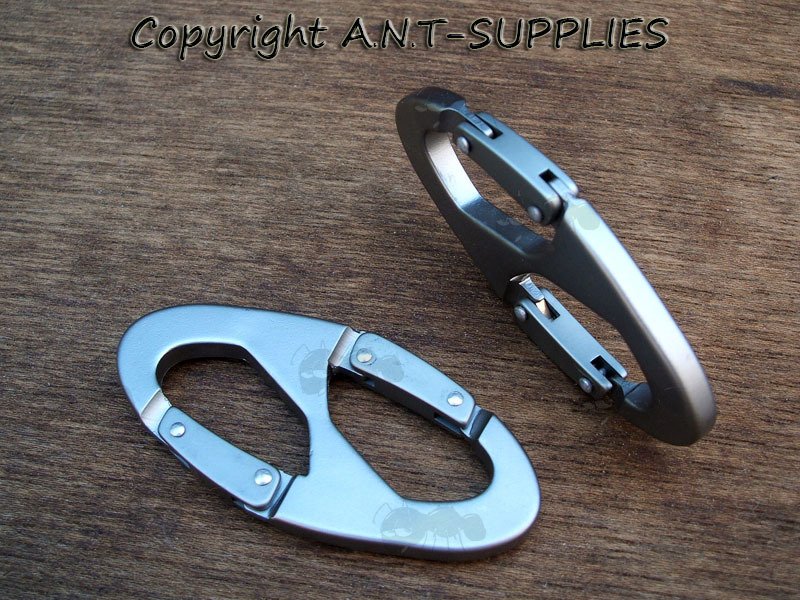 4.5mm thick x 58mm long carabiner. 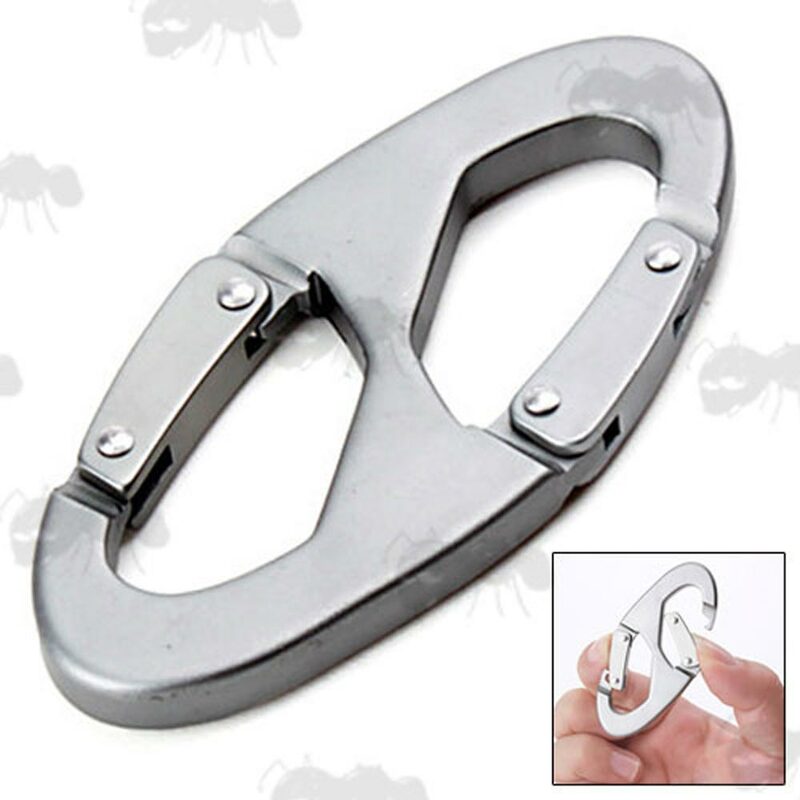 26mm diameter bottle neck clip. 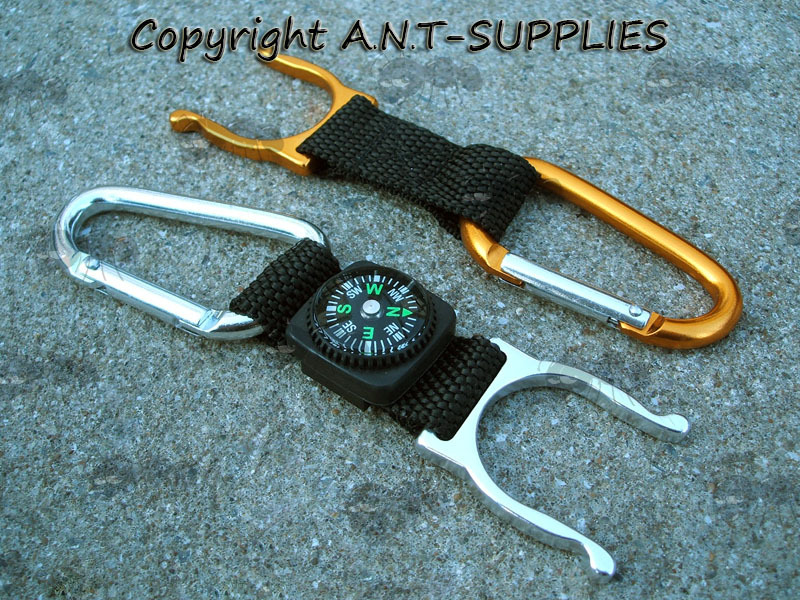 Choice of either a bottle clip and carabiner or the same but with a buckle compass. The sleeve screws down over the gate to secure it.